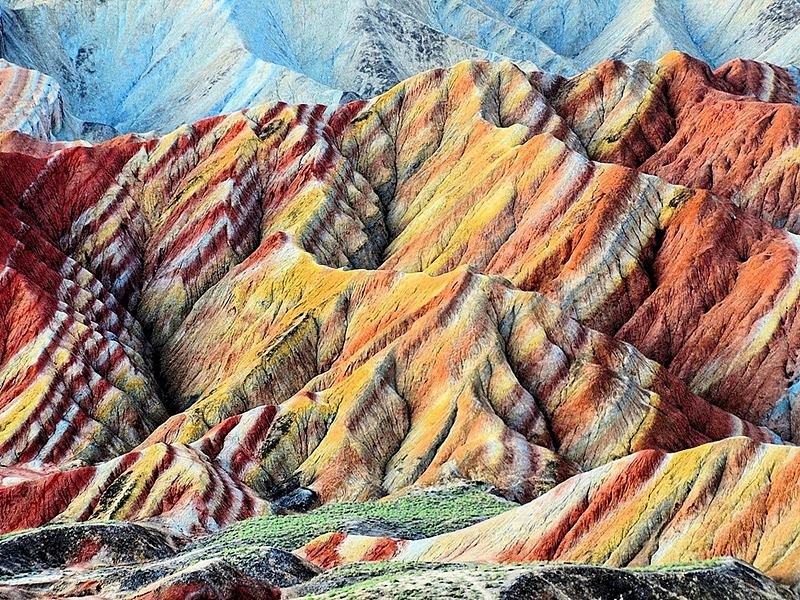 Since then, 30 million years ago, orogenic movement has changed the landscape of the pool a few times. 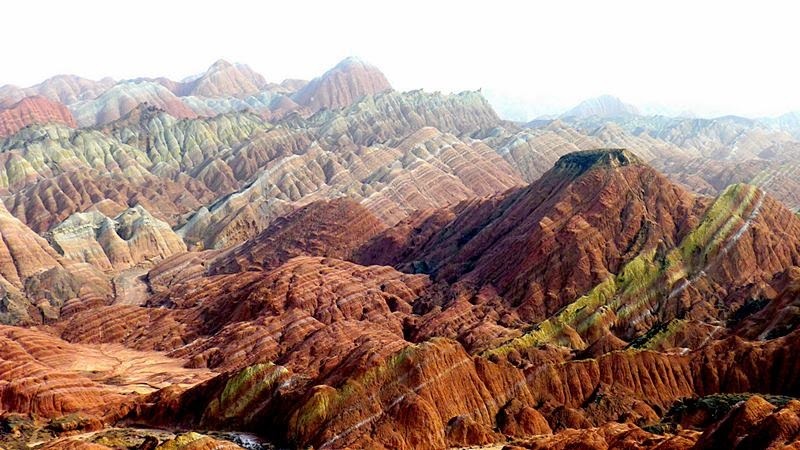 Water flowing down through the cracks cut through and destroyed sedimentary rock carved slope, leaving behind red fragmental rocks. 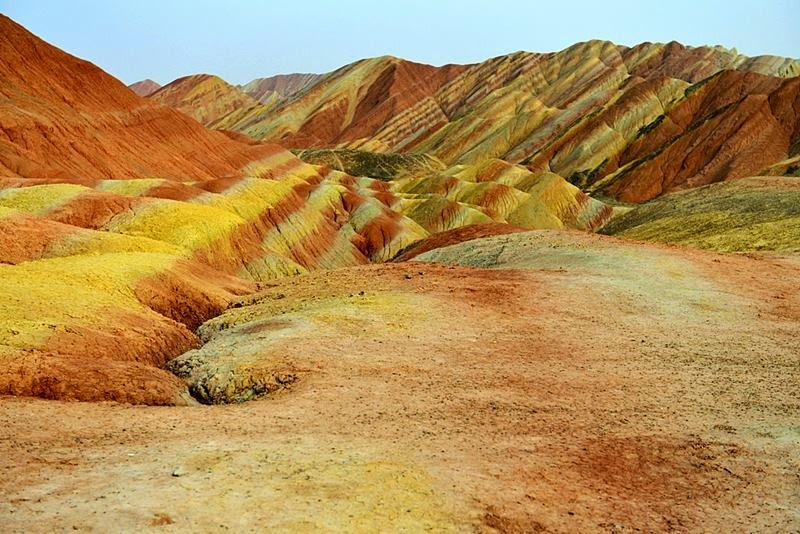 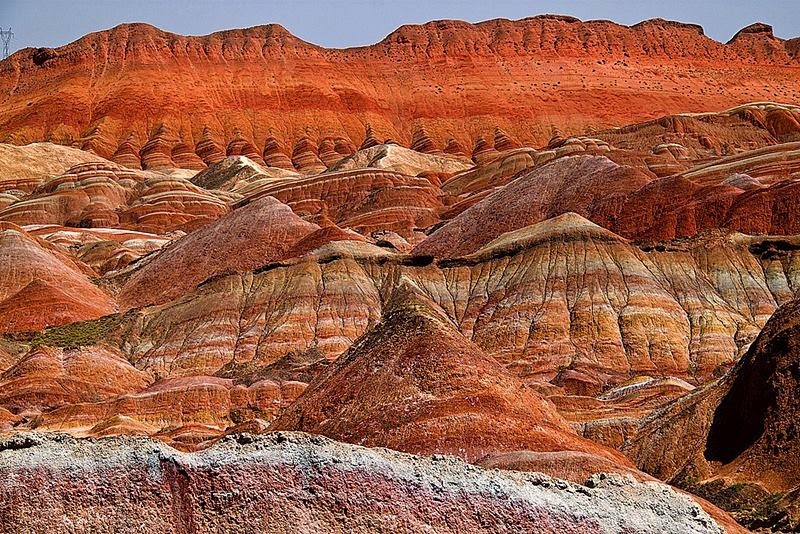 Now we see nothing but how landforms Danxia. 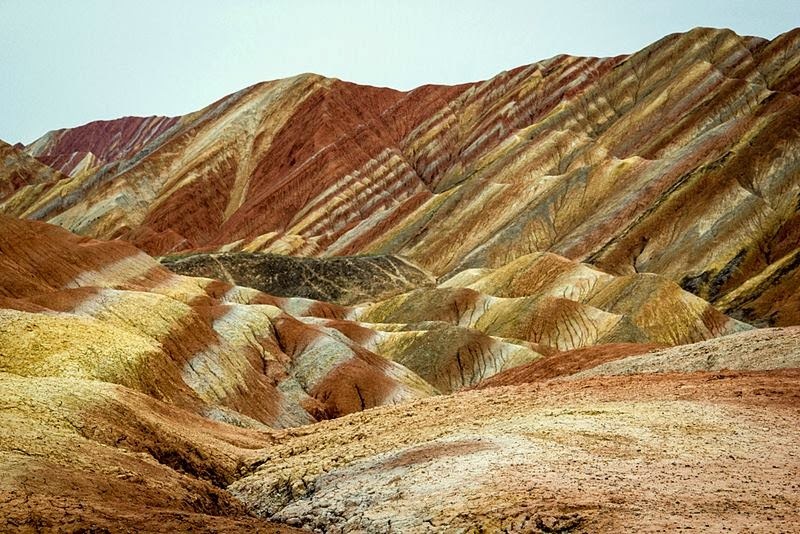 According to experts, the formation of the mountain is still going on in the area, with an average increase of 0.87 meters every 10,000 years in the past 500,000 years. 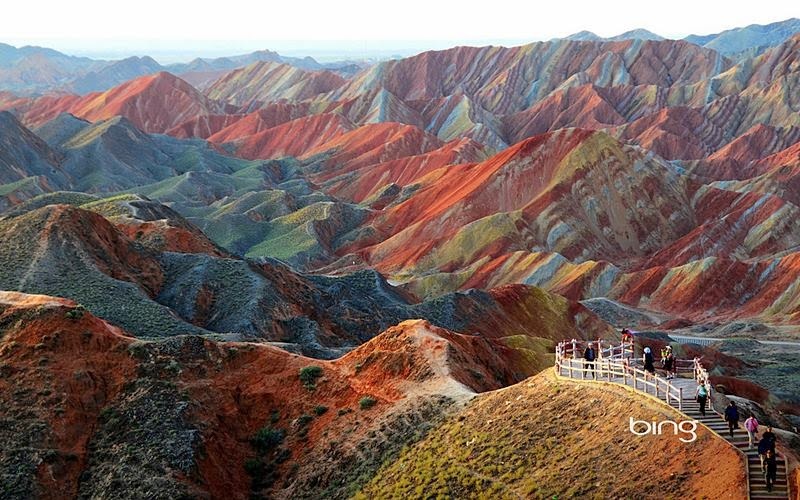 The region is fast becoming a popular tourist attraction for the sleepy town of Zhangye. 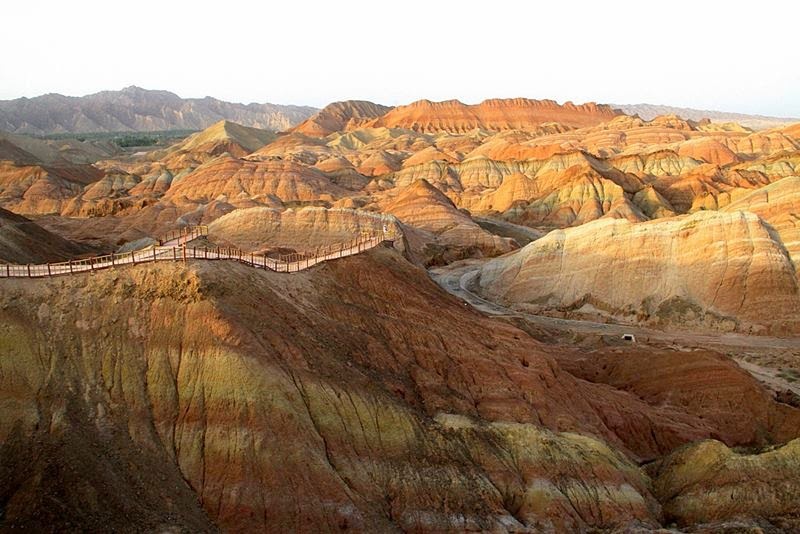 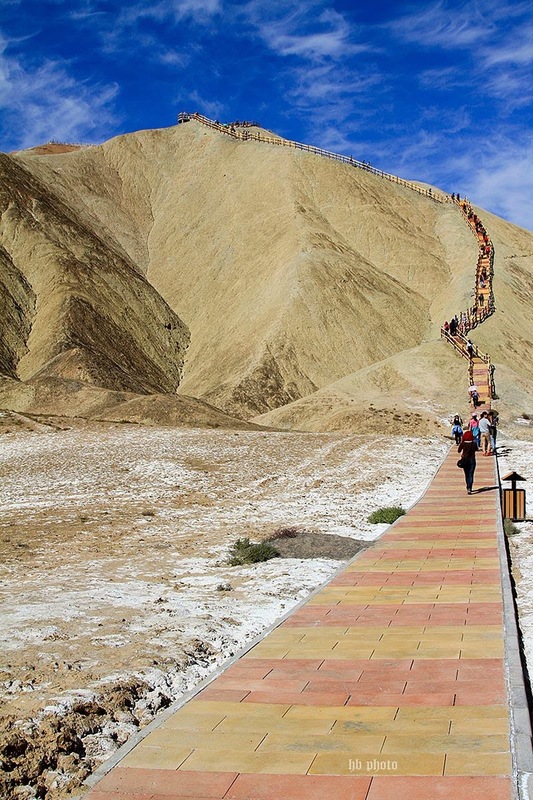 Set of boardwalks and roads were built to encourage visitors to explore the amazing rock formations and colored rocks. 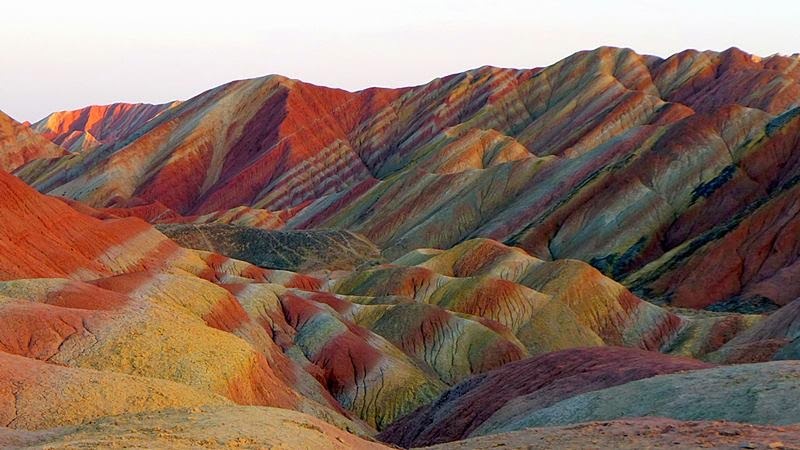 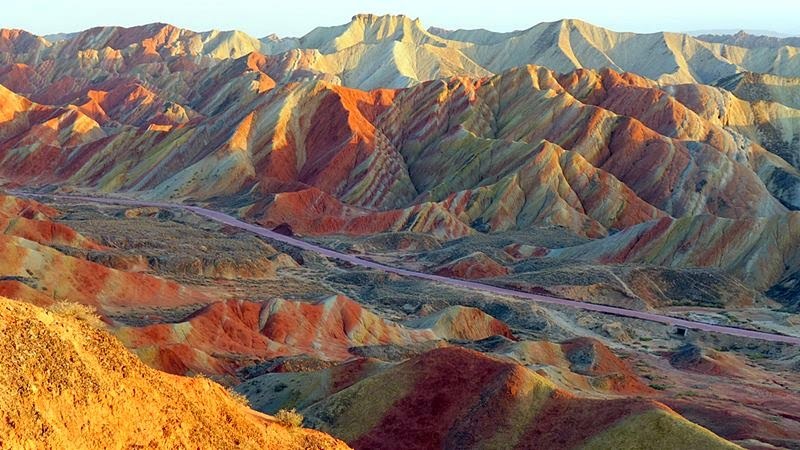 World Heritage Committee decided to include colored rocks Zhangye in UNESCO World Heritage List at its 34th meeting held in Brasilia, capital of Brazil, August 1, 2010.